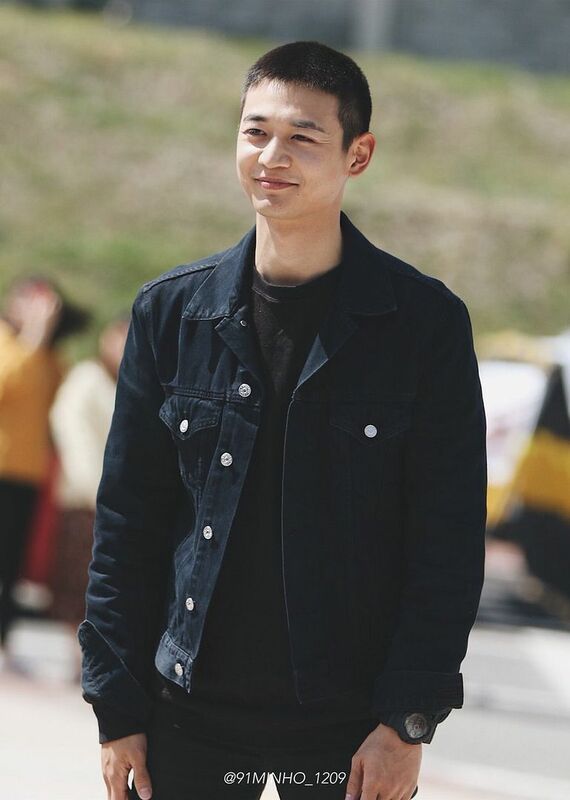 I know SHINee‘s Minho (Choi Min Ho) is enlisting towards the end of the age limit rather than early on such as after high school or college for most South Korean non-celebs but he totally gives off that fresh boy going off into the brand new world vibe. This young man has been a member of one of Korea’s most popular boy idol grounds for ten years and yet he still looks like he stepped off the train from the countryside arriving in Seoul all wide-eyed and marveling at the opportunities ahead. 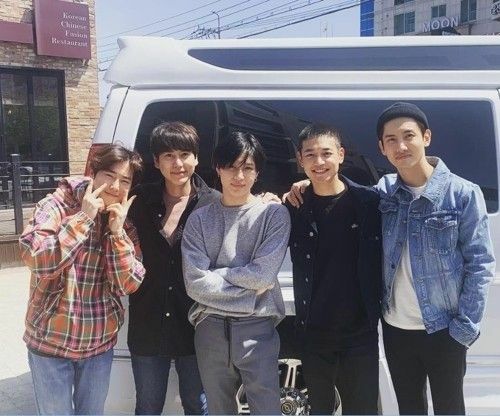 The buzz cut makes him look even younger and suits him so well, he’s such an earnest star who works hard albeit one who really really still can’t act bless his heart. 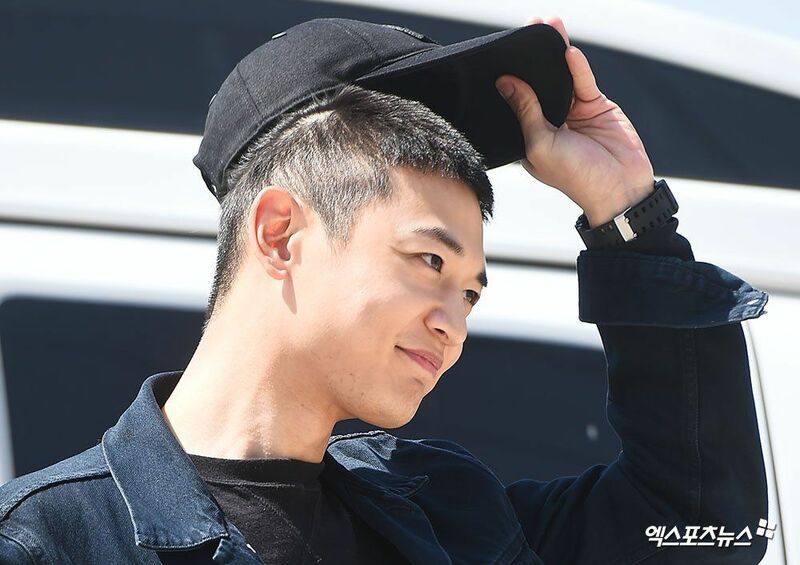 Wishing Minho the best of the next two years in the army and see you back in 2021! 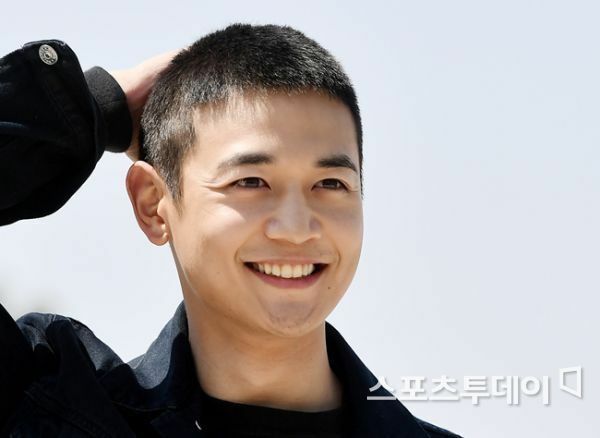 Much love, Minho and best of luck!!!!! Have a safe service and see you when you get back!!! !